Test pilot George Bulman in the cockpit of the prototype Hawker Monoplane F.36/34, K5083. 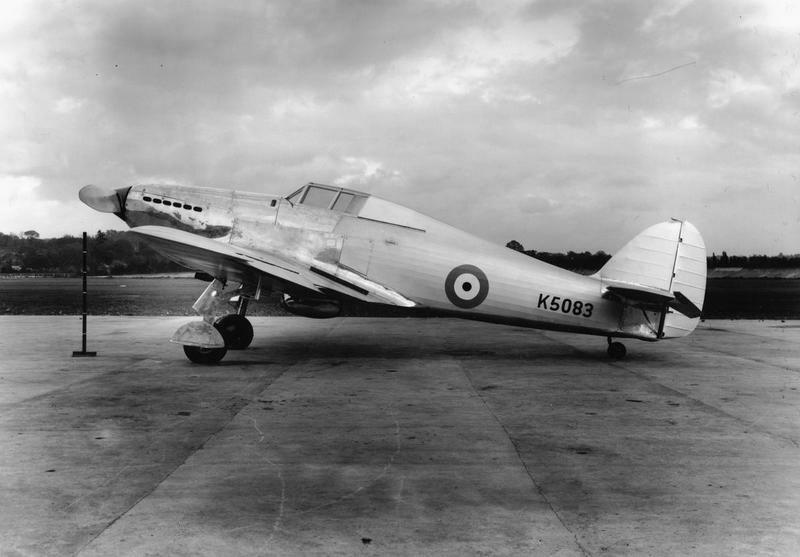 6 November 1935: The prototype Hawker Monoplane F.36/34, K5083, first flew at the Brooklands Aerodrome, Weybridge, Surrey, with Hawker’s Chief Test Pilot, Flight Lieutenant Paul Ward Spencer (“George”) Bulman, M.C., A.F.C., Royal Air Force Reserve,¹ in the cockpit. The airplane would be named “Hurricane” and become one of the most successful fighter aircraft of World War II. 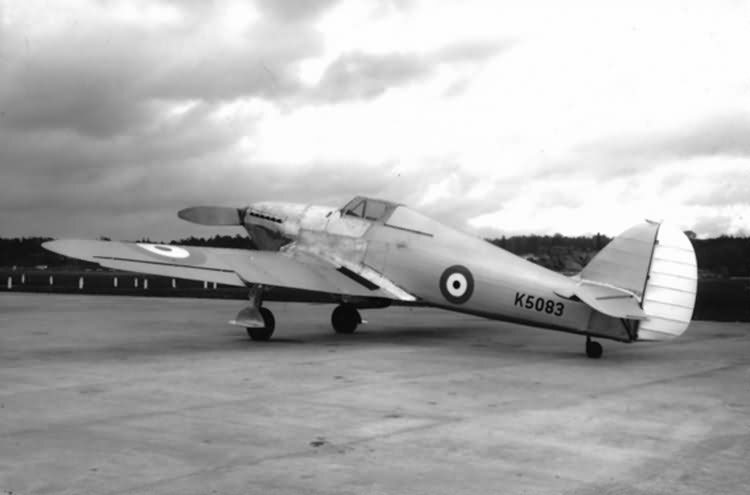 Designed by Sydney Camm to meet a Royal Air Force Specification for a high speed monoplane interceptor, the airplane was developed around the Rolls-Royce PV-12 engine. The Hurricane was built in the traditional means of a light but strong framework covered by doped linen fabric. 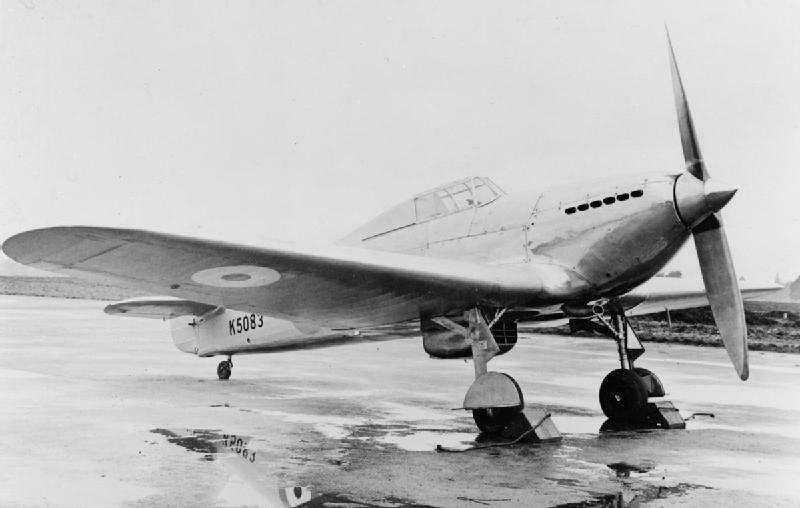 Rather than wood, however, the Hurricane’s framework used high strength steel tubing for the aft fuselage. A girder structure covered in sheet metal made up the forward fuselage. A primary consideration of the fighter’s designer was to provide good visibility for the pilot. The cockpit sits high in the fuselage and gives the airplane its characteristic hump back profile. The cockpit was enclosed by a sliding canopy. The landing gear was retractable. The Rolls-Royce PV-12 (“PV” stood for Private Venture) was a developmental liquid-cooled 1,649-cubic-inch-displacement (27.022 liter) 60° V-12 that would become the legendary Merlin aircraft engine. The PV-12 first ran in 1933 and initially produced 700 horsepower. 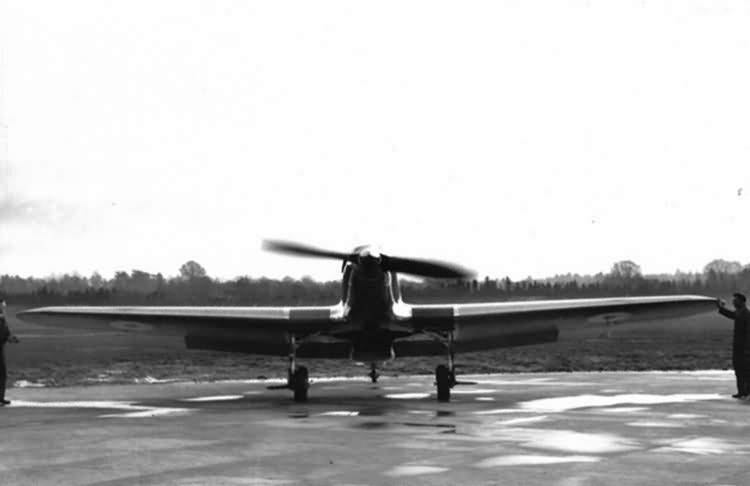 The engine was progressively improved and by the time the Hurricane prototype first flew, it was equipped with a supercharged Rolls-Royce Merlin C, Air Ministry serial number 111144. The Merlin C had a Normal Power rating of 1,029 horsepower at 2,600 r.p.m, at an altitude of 11,000 feet (3,353 meters), with +6 pounds per square inch boost. The V-12 engine turned a Watts two-bladed fixed-pitch wooden propeller through a gear reduction drive (possibly 0.420:1). 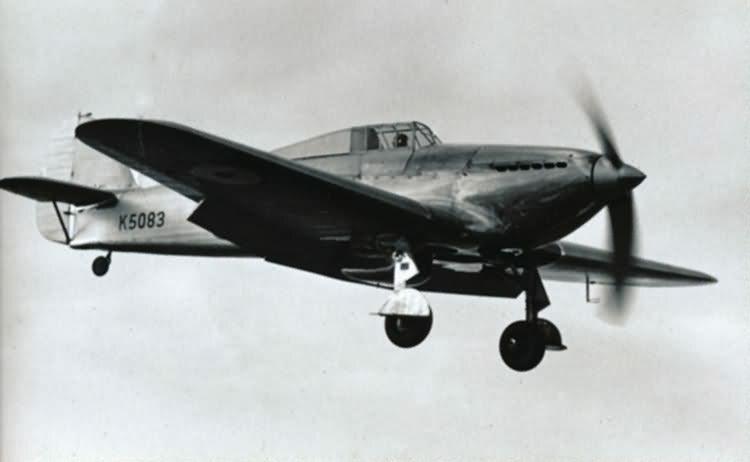 In early flight testing, K5083 had a maximum speed of 253 miles per hour (407 kilometers per hour) at Sea Level, an reached 315 miles per hour (507 kilometers per hour) at 16,200 feet (4,938 meters), with the Merlin turning 2,960 r.p.m., with +5.7 pounds of boost (0.39 Bar). 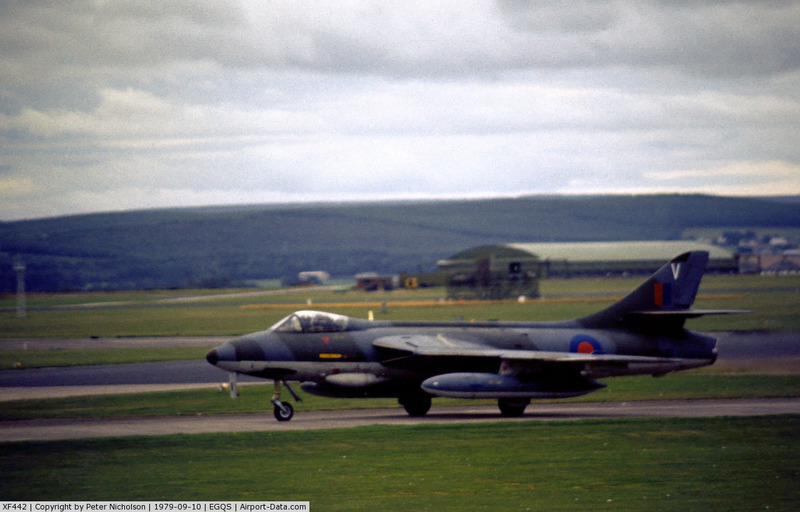 The speed exceeded the RAF’s requirement by 5 miles per hour (8 kilometers per hour). The prototype was able to take off in as little as 795 feet (242 meters) and to climb to 15,000 feet (4,572 meters) in just 5 minutes, 42 seconds. It reached 20,000 feet (6,096 meters) in 8 minutes, 24 seconds. The peak altitude reached was 30,000 feet (9,144 meters). The prototype’s estimated service ceiling was 34,500 feet (10,516 meters)and the estimated absolute ceiling was 35,400 feet (10,790 meters). In May 1939 Hawker Monoplane F.36/34 K5083 was classified as a ground instruction airframe, with serial number 1112M. Reportedly, it remained in airworthy condition until 1942. Its status after that is not known. The Hawker Hurricane Mk.I was ordered into production in the summer of 1936. The first production airplane, L1547, flew on 12 October 1937. The Hurricane Mk. I retained the wooden fixed-pitch propeller and fabric-covered wings of the prototype, though this would change with subsequent models. 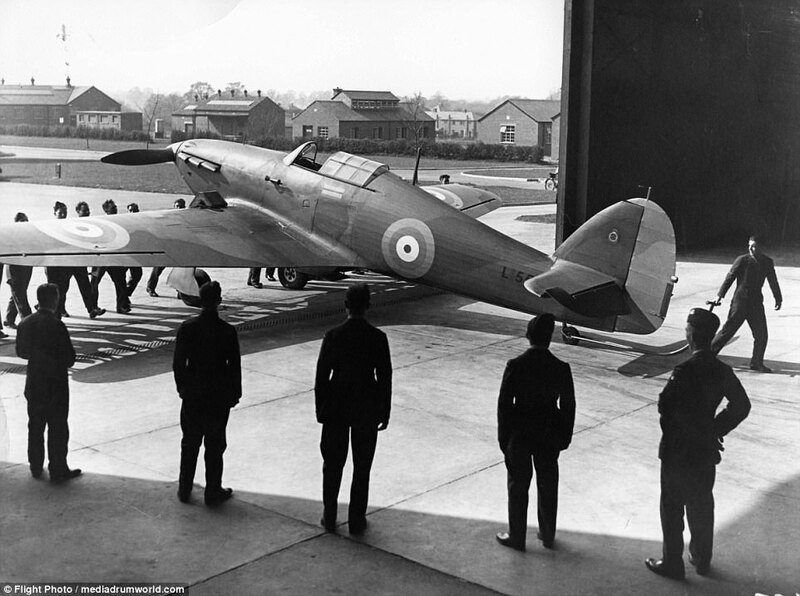 The first production Hawker Hurricane Mk.I, L1547, circa October 1937. This airplane, assigned to No. 312 Squadron, was lost 10 October 1940, when it caught fire during a training flight near RAF Speke. The pilot, Sergeant Otto Hanzliĉek, parachuted from the airplane, but he landed in the Mersey River and drowned. 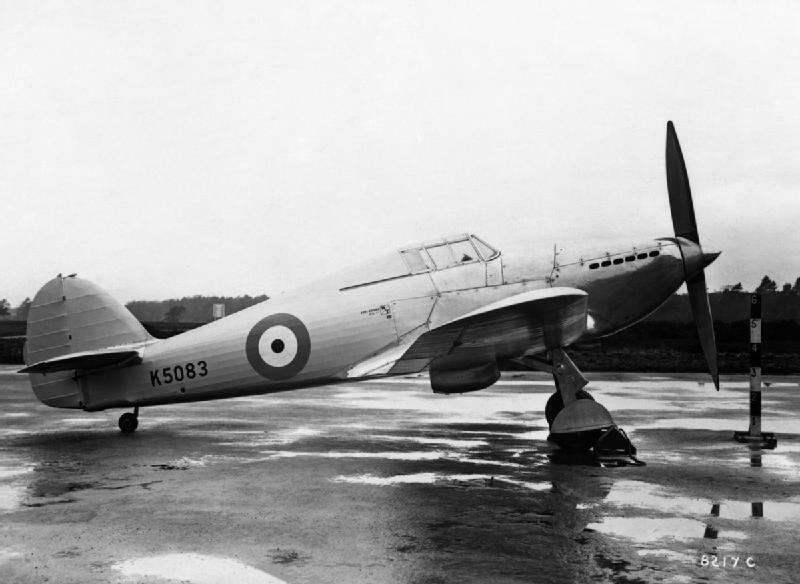 The Hurricane Mk.I was 31 feet, 5 inches (9.576 meters) long with a wingspan of 40 feet, 0 inches (12.192 meters), and overall height of 13 feet, 3 inches (4.039 meters) in three-point attitude. The wings had a total area of 257.6 square feet (23.9 square meters). Their angle of incidence was 2° 0′, and the outer wing panels had 3° 30′ dihedral. The leading edges were swept aft 5° 6′. The empty weight of the Hurricane I was 5,234 pounds (2,374 kilograms) and maximum gross weight was 6,793 pounds (3,081 kilograms). 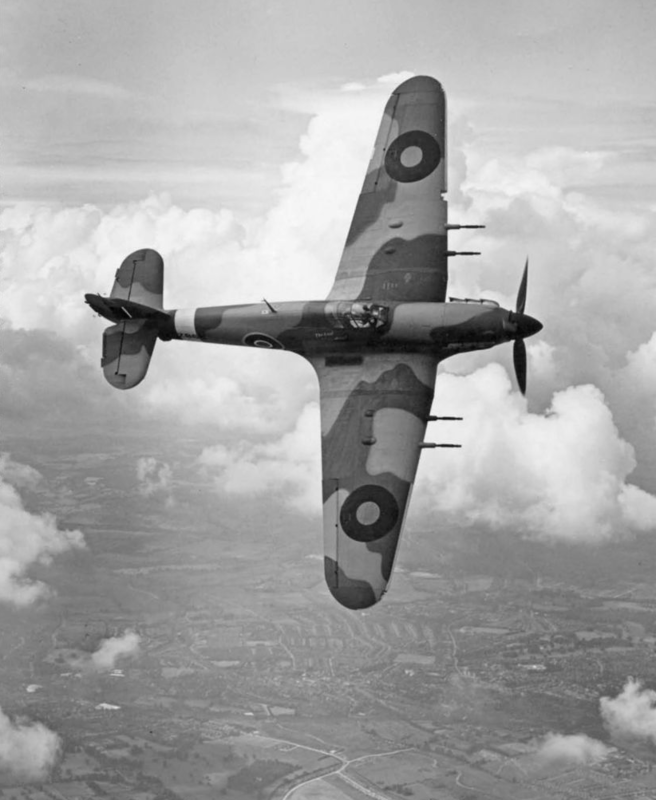 The Hurricane Mk.I was powered by a Rolls-Royce Merlin Mk.II or Mk.III. The Mk.III was rated at 1,030 horsepower at 3,000 r.p.m. at 16,250 feet (4,953 meters). The engine turned a propeller with a diameter of 11 feet, 3 inches (3.429 meters). The Mk.I’s best economical cruising speed was 212 miles per hour (341 kilometers per hour) at 20,000 feet (6,096 meters), and its maximum speed was 316 miles per hour (509 kilometers per hour) at 17,750 feet (5,410 meters) and 6,440 pounds (2,921 kilograms). The airplane’s range was 585 miles (941 kilometers). 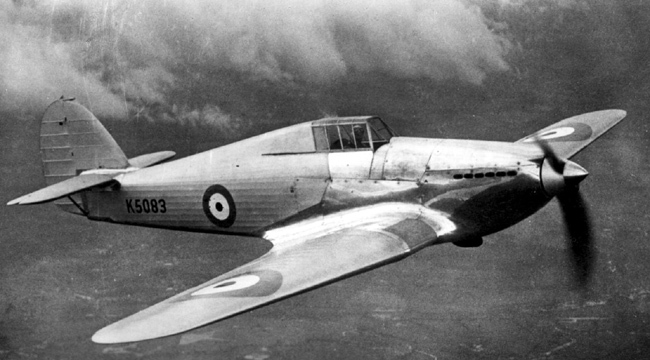 The Hurricane Mk.I could climb to 20,000 feet in 9.7 minutes. The fighter was armed with eight Browning .303 Mark II machine guns mounted in the wings, with 334 rounds of ammunition per gun. —Duel of Eagles, Group Captain Peter Wooldridge Townsend, CVO, DSO, DFC and Bar, RAF. 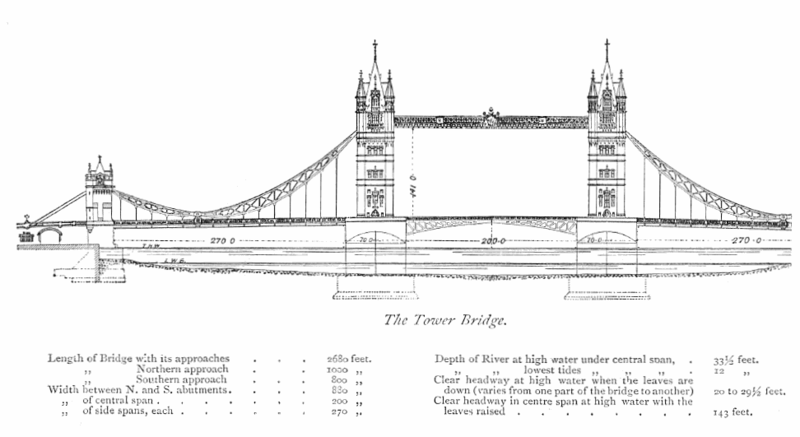 Cassell Publishers Limited, London, Chapter 13 at Pages 153–154. At the beginning of World War II, 497 Hurricanes had been delivered to the Royal Air Force, enough to equip 18 squadrons. 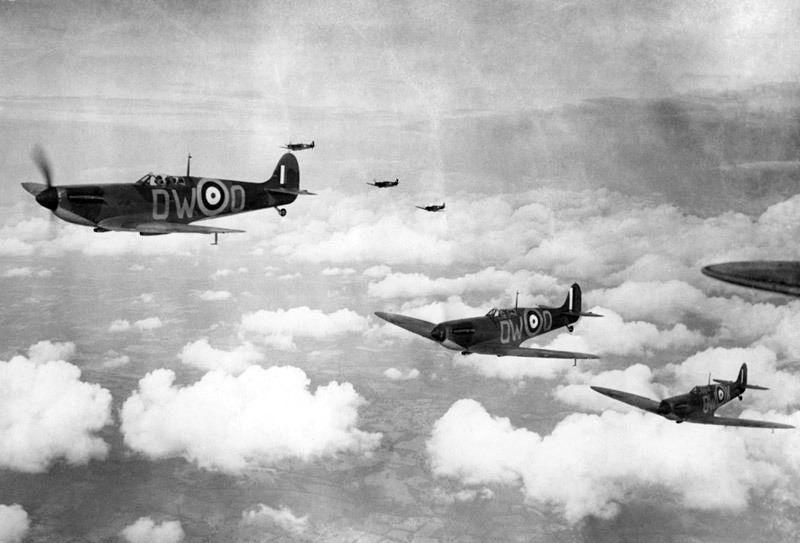 During the Battle of Britain, the Hurricane accounted for 55% of all enemy aircraft destroyed. Continuously upgraded throughout the war, it remained in production until July 1944. 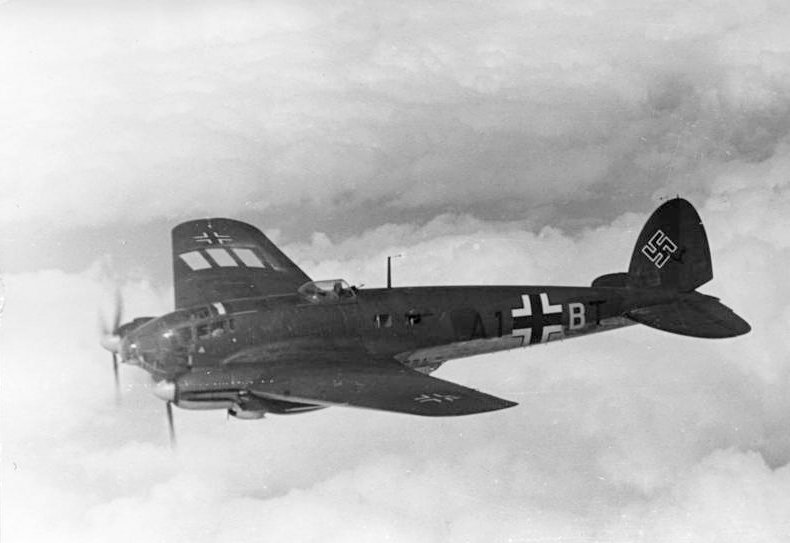 The final Hurrican, a Mk.IIc, PZ865, was flown for the first time by P.W.S. Bulman on 24 July 1944. A total of 14,503 were built by Hawker Aircraft Ltd., Gloster Aircraft Company, Austin Motor Company, and the Canadian Car and Foundry Company. P.W.S. Bulman with PZ865, July 1944. Group Captain “George” Bulman flying the final Hawker Hurricane, PZ865, a Mk.IIc. ¹ Later, Group Captain Paul Ward Spencer Bulman, C.B.E., M.C., A.F.C. and Bar. 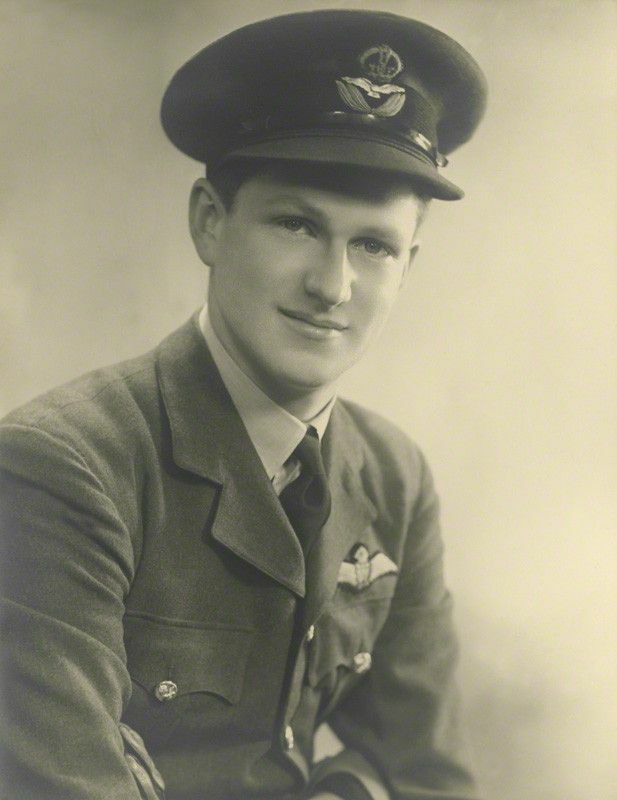 During an engagement with the enemy near Southampton on 16th August, 1940, Flight Lieutenant Nicolson’s aircraft was hit by four cannon shells, two of which wounded him whilst another set fire to the gravity tank. When about to abandon his aircraft owing to flames in the cockpit he sighted an enemy fighter. This he attacked and shot down, although as a result of staying in his burning aircraft he sustained serious burns to his hands, face, neck and legs. Flight Lieutenant Nicolson has always displayed great enthusiasm for air fighting and this incident shows that he possesses courage and determination of a high order. By continuing to engage the enemy after he had been wounded and his aircraft set on fire, he displayed exceptional gallantry and disregard for the safety of his own life. “Flight Lieutenant J.B. Nicolson of 249 Squadron was patrolling in his Hurricane west of Tangmere at seventeen thousand feet. He dived on some Ju. 88s when suddenly his Hurricane staggered. From somewhere behind bullets and cannon shells ripped through the hood, hit him in the foot and pierced his centre-tank. A searing mass of flame filled the cockpit. As he whipped into a steep turn he saw the offender, a Me. 110, slide below, diving hard. A wild resolve, stronger than reason, seized Nicolson. The cockpit a furnace, his dashboard ‘dripping like treacle’ and his hands fused by heat onto throttle and stick, he yelled, ‘I’ll get you, you Hun.’ And he went firing until the Me. 110 fell, until the frightful agony of his burns had passed the threshold of feeling. Then he struggled out of the cockpit and still wreathed in flames fell until the rush of cold air extinguished them. Only then did his mutilated hand fumble for the ripcord and somehow find strength to pull it. As if his sufferings were not already enough, some imbecile of a Home Guard fired at Nicolson and hit him fifty feet above the village of Millbrook in Hampshire. — Duel of Eagles, Group Captain Peter Wooldridge Townsend, CVO, DSO, DFC and Bar, RAF. 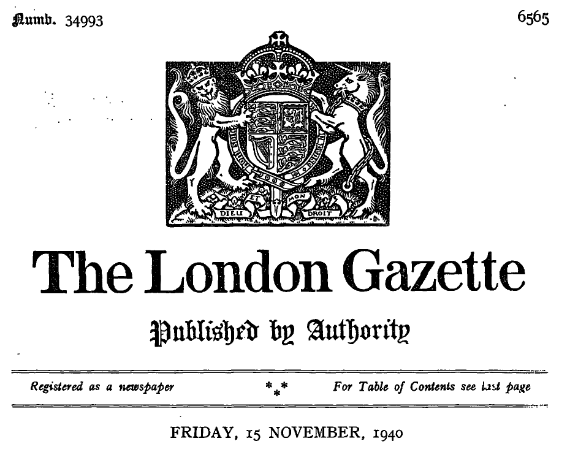 Cassell Publishers Limited, London, Chapter 23 at Pages 328–329. 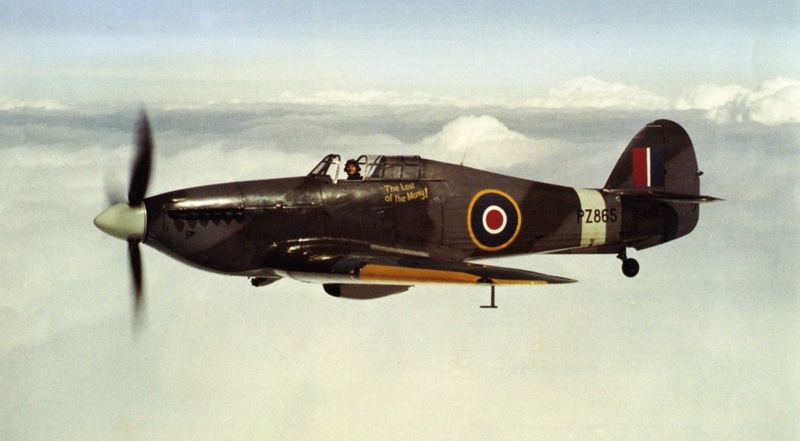 Nick Nicolson’s fighter was a Hawker Hurricane Mk.I, P3576, with squadron markings GN A. It was in the third production block of 544 Hurricanes built by Hawker Aircraft Limited, Brooklands, between February and July 1940. 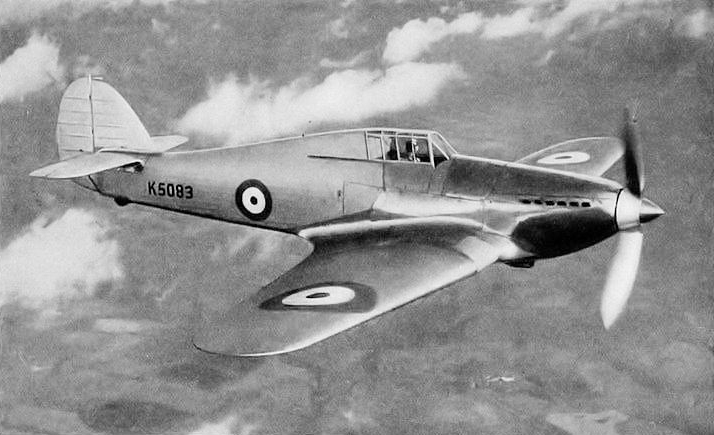 The Hurricane Mk.I was ordered into production in the summer of 1936. The first production airplane flew on 12 October 1937. 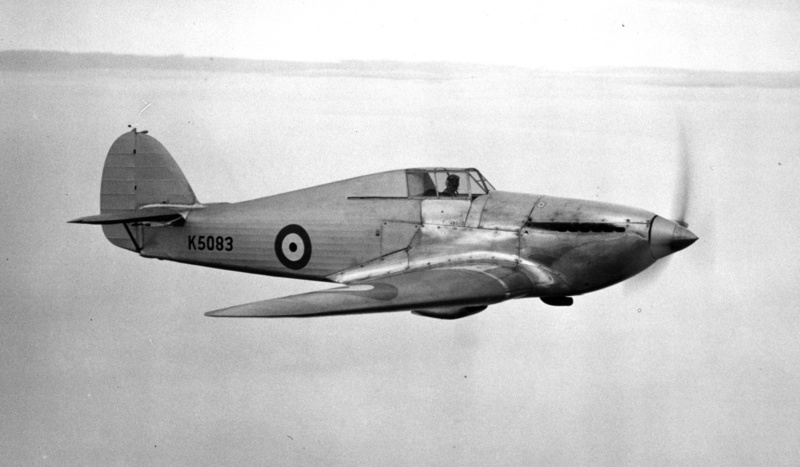 The early production Hurricane Mk. I retained the wooden fixed-pitch propeller and fabric-covered wings of the prototype, though this would change with subsequent models. It was 31 feet, 4 inches (9.550 meters) long with a wingspan of 40 feet (12.192 meters) and overall height of 13 feet, 3 inches (4.039 meters). Its empty weight was 4,982 pounds (2,260 kilograms) and gross weight was 6,750 pounds (3,062 kilograms). 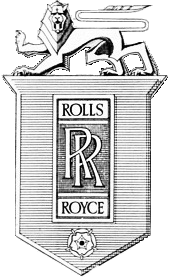 The Mk.I’s engine was a liquid-cooled, supercharged, 27.01 liter (1,648.96 cubic inches) Rolls-Royce R.M.1.S. Merlin Mk.III single-overhead-cam 60° V-12, rated at 990 horsepower at 2,600 r.p.m. at 12,250 feet (3,734 meters), and 1,030 horsepower at 3,000 r.p.m., at 10,250 feet (3,124 meters), using 87 octane aviation gasoline. The Merlin III drove the propeller through a 0.477:1 gear reduction ratio. It weighed 1,375 pounds (624 kilograms). The fixed-pitch propeller was soon replaced with a three-bladed, two-pitch propeller, and then a three-bladed constant-speed propeller. Speed trials of a Mk.I equipped with a 10 foot, 9 inch (3.277 meters) diameter Rotol constant-speed propeller achieved a maximum True Air Speed in level flight of 316 miles per hour (509 kilometers per hour) at 17,750 feet (5,410 meters) at 3,000 r.p.m. The service ceiling was 33,750 feet (10,287 meters). The Mk.I’s range was 600 miles (966 kilometers) at 175 miles per hour (282 kilometers per hour). The fighter was armed with eight Browning .303-caliber Mark II machine guns mounted in the wings. At the beginning of World War II, 497 Hurricanes had been delivered to the Royal Air Force, enough to equip 18 squadrons. 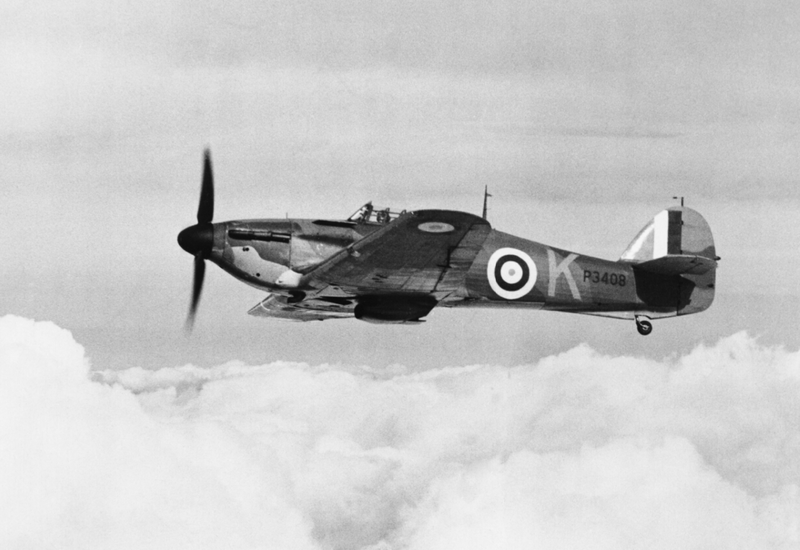 During the Battle of Britain, the Hurricane accounted for 55% of the enemy aircraft destroyed. Continuously upgraded throughout the war, it remained in production until 1944. 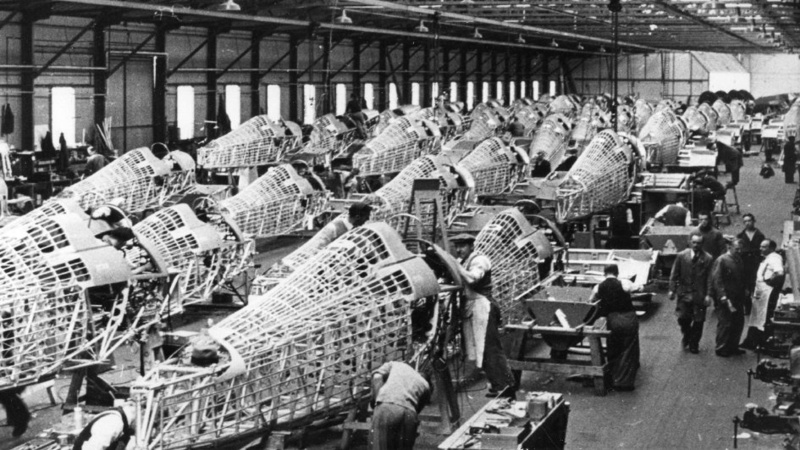 A total of 14,503 were built by Hawker, Gloster and the Canadian Car and Foundry Company. Eric James Brindley Nicolson was born 29 April 1917 at Hampstead, London, England. His parents were Leslie Gibson Nicolson and Dorothea Hilda Ellen Brindley. He was educated at the Tonbridge School in Kent, a private school which was founded in 1553. 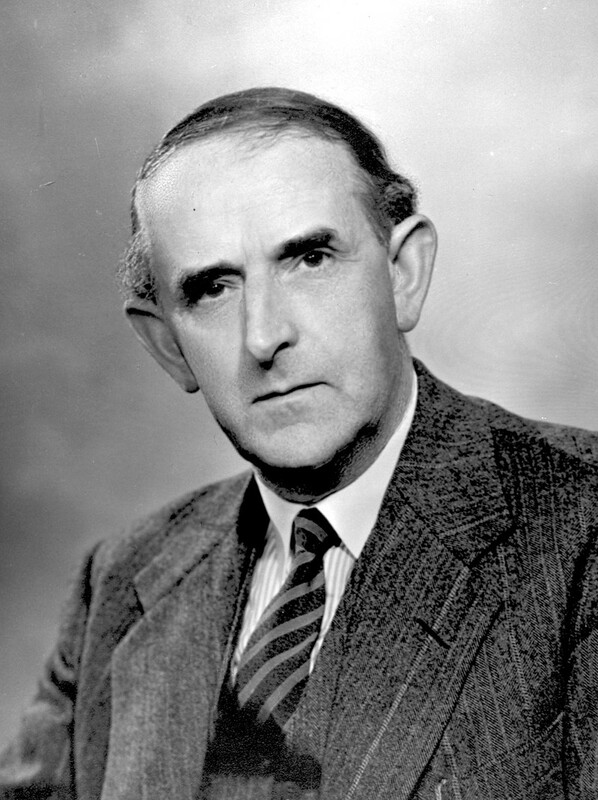 Nicolson was employed as an experimental engineer at Sir Henry Ricardo’s Engine Patents, Ltd., Shoreham, West Sussex, until joining the Royal Air Force in October 1936. On 21 December 1936, he was commissioned as a Pilot Officer. After flight training, P/O Nicolson served with No. 72 Squadron at RAF Church Fenton, North Yorkshire, August 1937–May 1940. He was promoted to Flying Officer, 12 May 1939. On 29 July 1939, Eric Nicolson was married to Miss Muriel Caroline Kendall of Kirby Wharfe, Yorkshire. Flying Officer Nicolson was assigned to No. 249 Squadron at RAF Leconfield, East Riding of Yorkshire, 15 May 1940, as an acting flight commander, and then promoted to Flight Lieutenant, 3 September 1940. Following the action of 16 November, Flight Lieutenant Nicolson was hospitalized at the burn unit of Princess Mary’s Hospital, RAF Halton, Buckinghamshire, and then sent to a convalescent facility at Torquay, Devon. On 12 January 1941, he was promoted to Squadron Leader. Nicolson returned to duty 24 February 1941, with 54 Operational Training Unit. From 21 September 1941 to 16 March 1942, he commanded No. 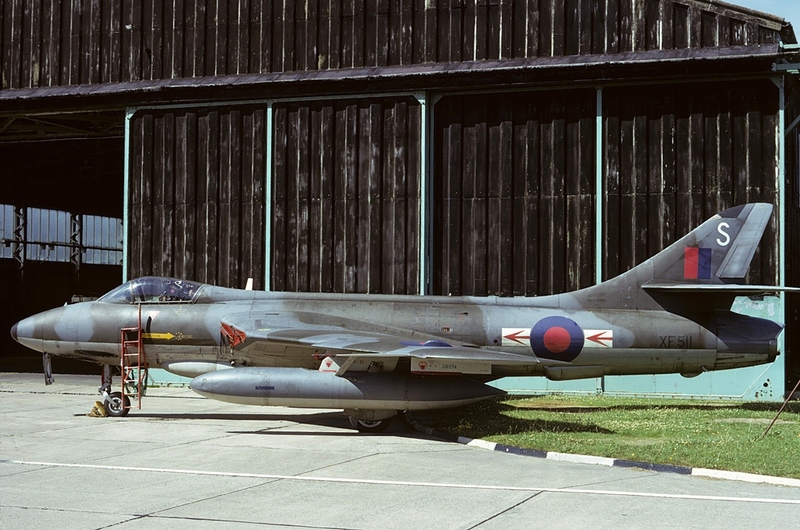 1459 Flight at RAF Hibaldstow, Lincolnshire. This was a night fighter unit, flying the Douglas Boston (P-70 Havoc). He was next assigned as a staff officer at Headquarters, 293 Wing, Royal Air Force, Alipore, West Bengal, India. After another staff assignment, Squadron Leader Nicolson was given command of 27 Squadron, a de Havilland Mosquito squadron at Agartala, in northeast India. Nick Nicolson was promoted to Wing Commander 11 August 1944 and assigned to 3rd Tactical Air Force Headquarters in the Comilla Cantonment, East Bengal. 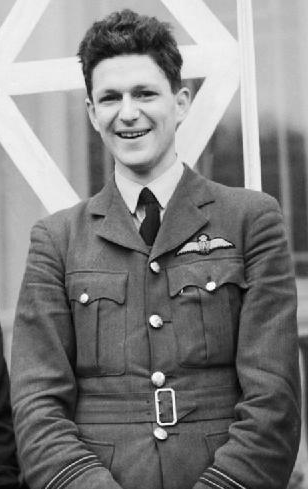 Wing Commander Eric James Brindley Nicolson, V.C., D.F.C., died 2 May 1945, while flying as an observer aboard a No. 355 Squadron Consolidated Liberator B Mk.VI, KH210, “R” (B-24J-85-CF 44-44071). At approximately 0250 hours, two engines caught fire. The bomber, piloted by Squadron Leader G.A. De Souza, RAF, and Flight Sergeant Michael Henry Pullen, Royal Australian Air Force, ditched in the Bay of Bengal, approximately 130 miles (209 kilometers) south of Calcutta. Of the eleven on board, only Pullen and one of the gunners survived. 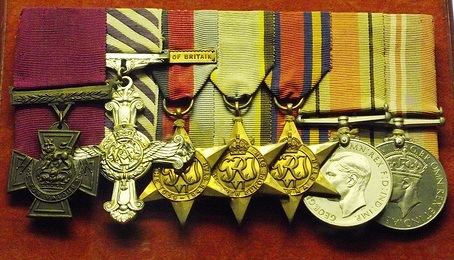 Nicolson was the only RAF Fighter Command pilot awarded the Victoria Cross during World War II. 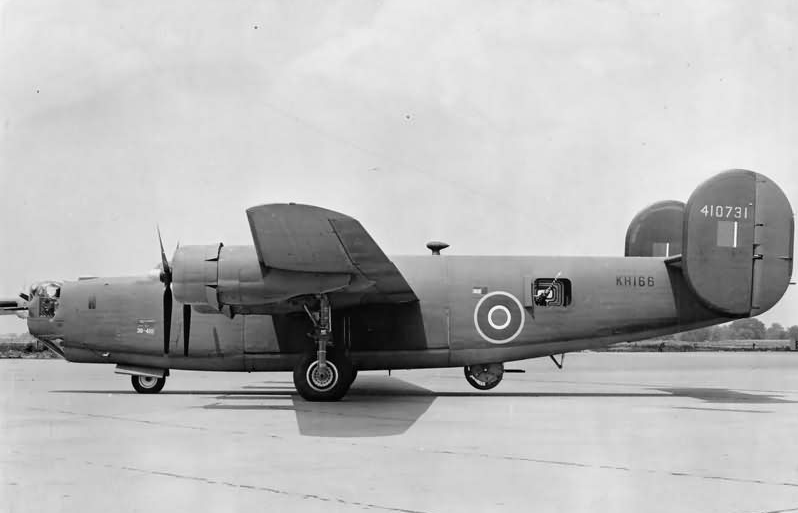 This Liberator Mk.VI KH166 (B-24J-80-CF 44-10731) is the same type as the bomber on which Wing Commander Nicolson was killed, 2 May 1945. 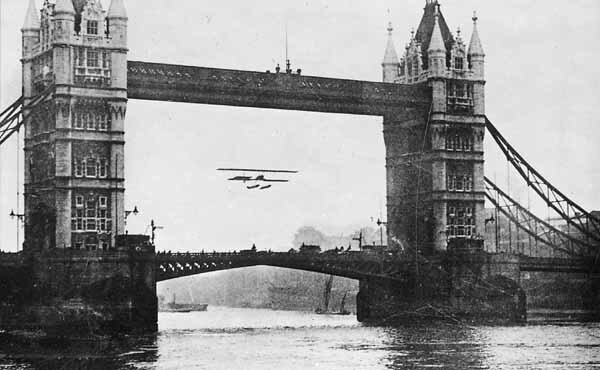 Before Germany could mount Operation Sea Lion, a cross-channel invasion of the British Isles, it needed to have complete air superiority over the invasion fleet. 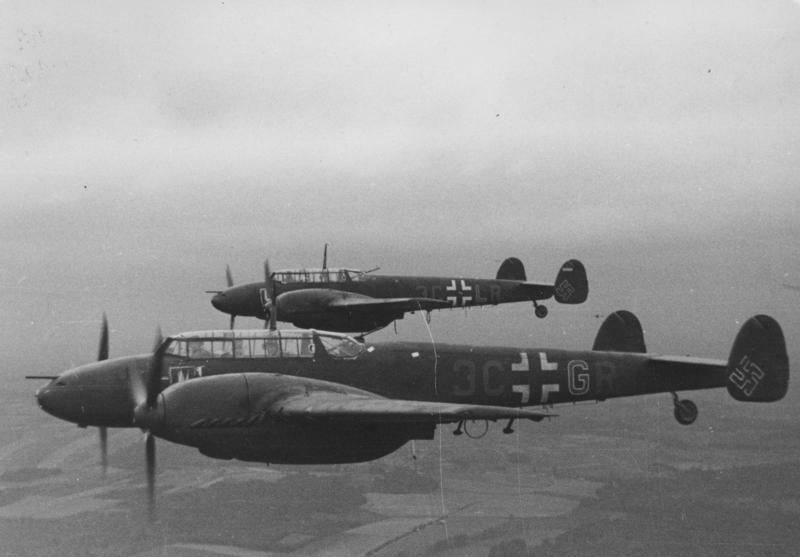 Because of the Luftwaffe‘s greater numbers and modern aircraft, German military leadership believed this could best be accomplished by defeating the Royal Air Force in air-to-air combat. 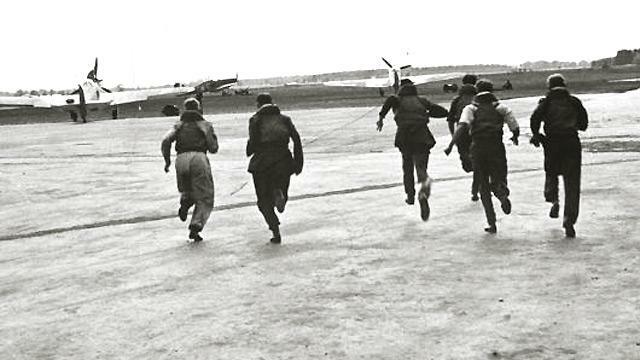 The Royal Air Force had been conserving their limited numbers of pilots and aircraft up to this point in the war. 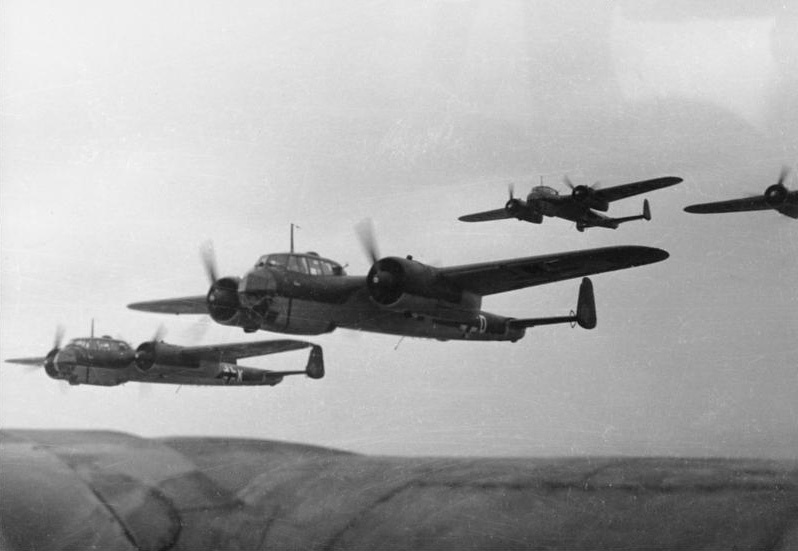 Germany’s plan was to send its bombers against targets that the R.A.F. would be forced to defend. 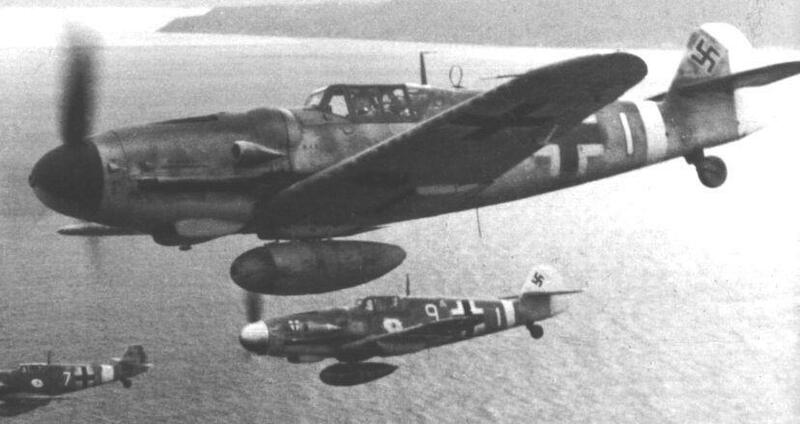 The escorting Messerschmitt Bf 109s (also referred to as the Me 109) would then shoot down the Boulton Paul Defiants and Bristol Blenheims. But the Hawker Hurricanes and Supermarine Spitfires were up to the task. While the Hurricanes went after the Luftwaffe’s Dornier 17 and Heinkel He 111 bombers, the Spitfires engaged their Bf 109 fighter escorts. 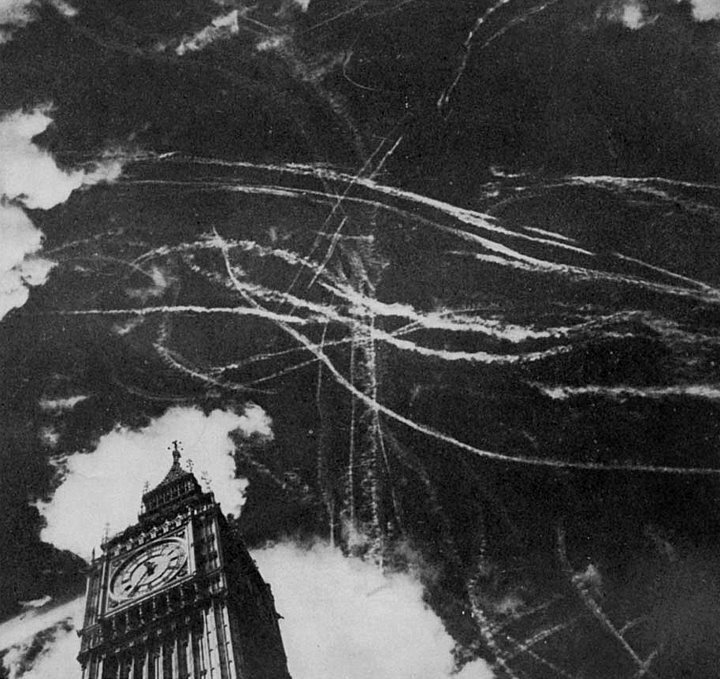 Contrails over London during the Battle of Britain, 10 July–31 October 1940. 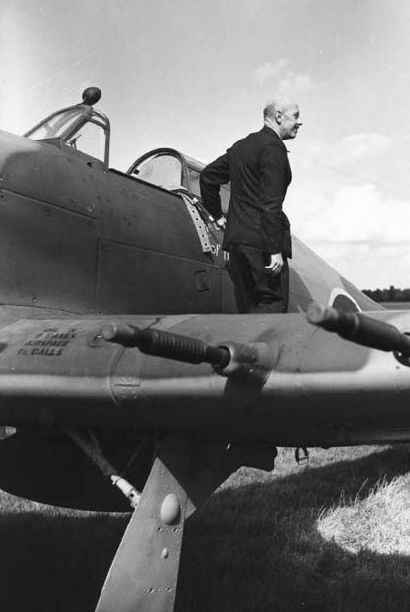 Britain used a system of radar-directed ground control of its fighter squadrons. 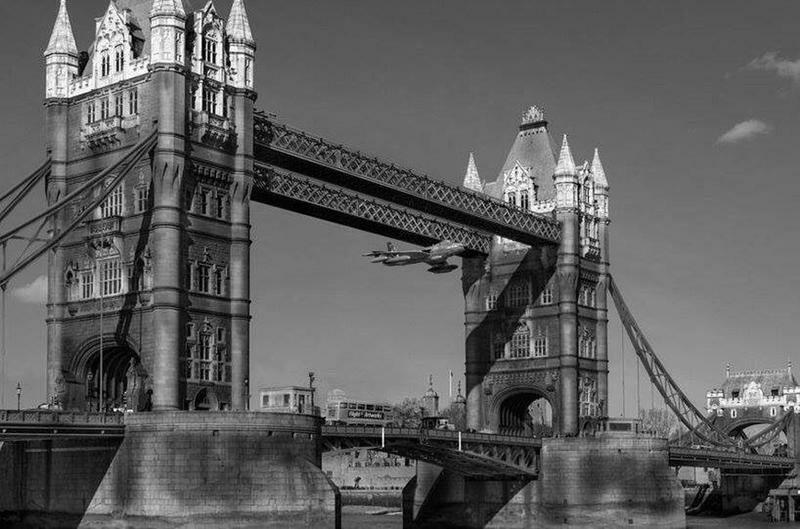 The result was that, although both sides lost about the same number of aircraft, the Battle of Britain was a decisive victory for Great Britain. Germany was forced to give up on its plans for an invasion of England. Highly recommended: Duel of Eagles, by Group Captain Peter Townsend, CVO, DSO, DFC and Bar, Royal Air Force. Cassell Publishers Limited, 1970 and Castle Books, 2003.